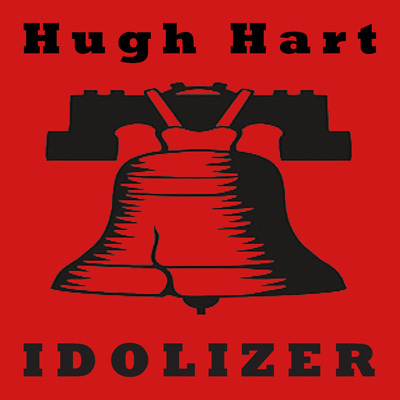 Idolizer EP written and performed by Hugh Hart. All Rights Reserved Flux Records. BIO: Hugh Hart led Chicago rock quartet Wedge, praised by CMJ as a "guitar-fueled pop wonder," before moving west to work on writing and music projects. He lives in Los Angeles. 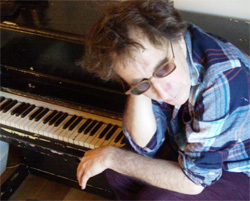 Hugh Hart at piano. Photo credit: Noah Banks. PURCHASE: The Idolizer EP is available via PayPal for $4 ("Send Money" to hugh.hart@att.net). Email your mailing address to hugh.hart@att.net and a limited edition CD in hand-crafted packaging will be mailed to you. copyright 2012 Hugh Music / BMI | All rights reserved Flux Records.